Don`t miss the action in the Show Ring! Canadian National Black & Red Angus Gold Show! 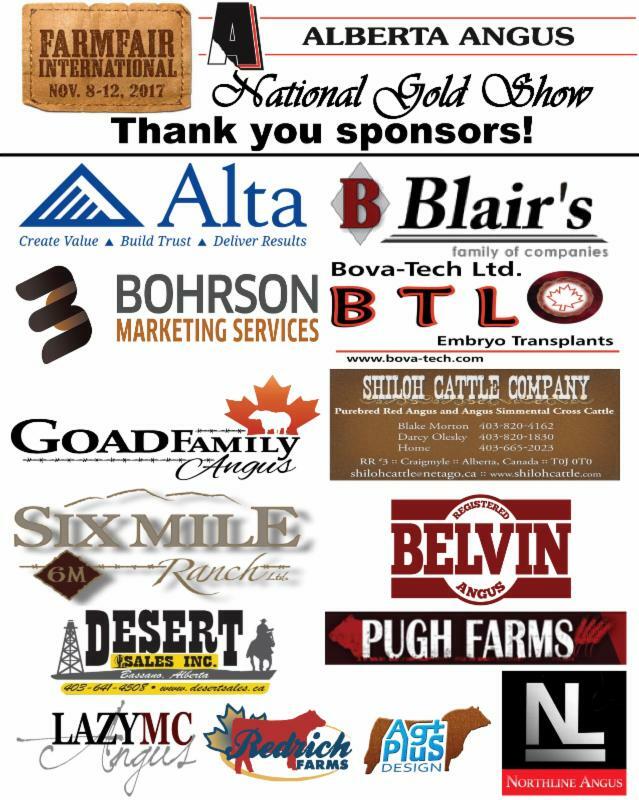 If you are not able to make it to Farmfair to take in the action of the National Angus Gold Shows on Friday, November 10, watch them live on DLMS starting at 9AM! Black Angus - Dave Allan grew up in Seward, Nebraska. He attended the University of Nebraska and graduated Texas A&M University with an animal science degree where he was a member of the livestock judging team. He attended Michigan state university for graduate school where he was assistant judging coach. He has judged many shows throughout the US and Canada. Including the National Western, American Royal, Louisville, Fort Worth, San Antonio, and Houston for many Breeds. Dave has managed several purebred cattle operations including Sullivan Limousin and Deer Valley Farms. Dave and his wife Becky along with their 3 sons own and operate Bar A Cattle Co, Genesource, and The Brand Company. They reside in Schulenberg Texas, raising Purebred Herefords and club calves. Red Angus - Brad Gilchrist owns and operates Gilchrist Farms with his wife Kristie and daughter Peyton. Brad is the 4th generation to live and operate the farm at its current location just North of Lucknow, Ontario. The farm operation consists of approximately 150 cows where the majority are used to produce Angus bulls and females that are marketed through two annual sales. The first sale is hosted on the home farm in October with numerous other Angus breeders across Ontario, called the GF & Friends IN IT TO WIN IT Angus production sale. The second is a bull sale held the first Saturday in April located at the local auction market in Hanover Ontario. Brad graduated from the University of Guelph with an honours degree in agriculture and is currently employed by Semex as the beef marketing specialist. Cattleman's Social (hosted by Alberta Angus) will be held at Farmfair International, November 10, 2017, after the Canadian National Angus Show, in the show ring. Tickets are $25 each and include a roast beef dinner and 1 drink ticket. Silent and live auction will be hosted. Tickets are available at the Alberta Angus Booth on location at Farmfair! Be sure to stop by the booth for a coffee and a visit!